Ranger is a lab x shepherd cross (probably). They are calling this handsome boy Ranger. It would seem his old owners do not want him anymore. He has apparently already been through two homes that were not so good to him. The good folks working out at Otter Falls Cutoff saw him hanging around for awhile and have now taken him in, because he was looking hungry. His rescuer’s would like to see him find a good “fur-ever” home. 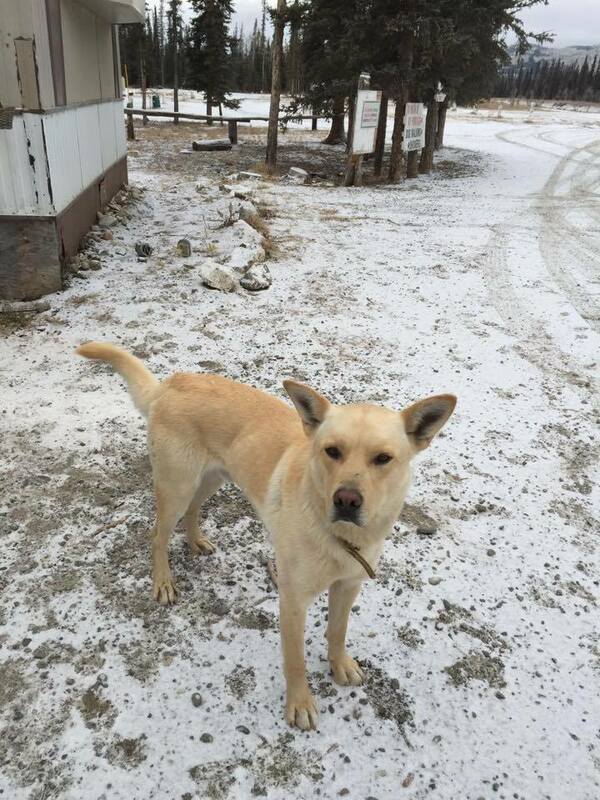 They are able to bring him to Whitehorse, to a foster home, where he could meet potential adopters. Ranger is a Lab Shepherd Cross they think. He is a big sweetheart but timid when he first meets people. He is good with kids and other dogs but is scared of cats. He loves to just be with people. He would be a very loyal dog to anyone who adopted him. Ranger’s adoption fee will be the cost of neutering him. If you are interested in meeting Ranger, send us a message. You can submit an adoption application online.